Glenmoor Country Club serves as the centerpiece of this neighborhood and the layout of homes is incorporated into the layout of the golf course. These homes have spacious backyards and is gated and secure. In addition to the Country Club, residents have access to a pool. Located in the south of Cherry Hills Village, Glenmoor is an exclusive area within what is already an already desirable place to live. Living here gives you the instant advantage of living within a gated community so security concerns are kept to an absolute minimum for you and your family. However living in a community like Glenmoor does come at a certain financial cost and any home in this area. Please also note that properties in this part of Denver rarely come to the open market so you need to act quickly when they do. 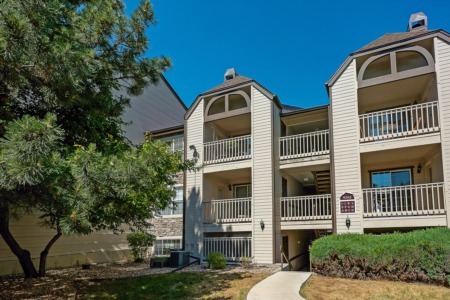 Obviously you have all the facilities and amenities which Glenmoor Country Club can offer you and even if you do find these lacking for whatever reason you'll be pleased to note that downtown Denver is just a very short drive to the north. Denver is famous for maintaining a lot of wide open spaces and nature trails and walks in all of the sub-divisions and cities in the area and residents of Glenmoor get to live in one of the least populated parts of Denver, and in a range of luxury homes also. If you enjoy parks then you'll love that Cherry Creek State Park and Reservoir are very close to Glenmoor and there are numerous other parks and reservoirs in the area to enjoy. If shopping is a concern you have the Denver Tech Center just to the east and you're never too far away from a King Soopers or a Walmart Supercenter either for that matter. If you are ever fortunate enough to find a property for sale in Glenmoor and you have the budget to match then you should act without hesitation and invest.